It’s time for hunters to get ready—the best hunting lies ahead. Hunt hard till the end. Gobblers are very vocal at this phase of Mississippi’s spring turkey season. At first light or shortly thereafter, they’re hammering the woods. Once they fly down and collect some hens, gobbling tapers off. They’ll still answer an occasional owl, crow or hen call; hunters can get a shock gobble throughout the morning from locator calls. Intermittent gobbling can be heard most of the day with some brief intense periods of “gobbling frenzy” occurring. 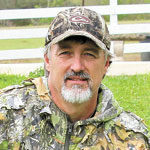 Mississippi turkeys are at the stage of the season when hens are quickly coming to gobblers after they leave the roost. Unlike the opening week of the season when small groups of gobblers would come in to hunters, they’re holding tight because the hens are coming to them. Some older gobblers are staying on the roost, gobbling, until they see a hen walking up, then they’ll pitch down to her. Prime time Mississippi turkey hunting is just ahead and hunters can look forward to the best of the season shortly. Recently, most gobblers that have been responsive to hunters or slipping in silently have been jakes and 2-year-old, subordinate gobblers. Hunters are seeing a lot of them, too. 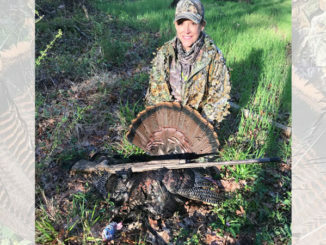 According to the Mississippi Department of Wildlife, Fisheries and Parks’ 2019 turkey report, this time last season, the gobbling was at its peak or the peak of gobbling was past. According to many hunters, this assessment is spot on. 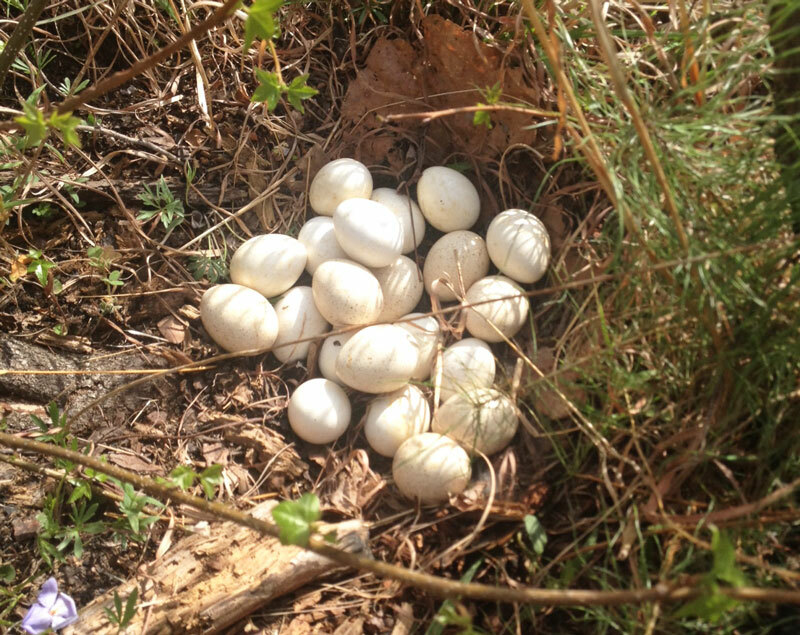 Turkeys are starting to make a transition as most hens start laying eggs. They’ll be leaving the gobblers throughout the morning, laying and tending to the nest for about an hour. Once a nest has six or more eggs however, the hen will sit on the average almost six hours. In the next two weeks the hens will establish nests and start spending a lot of time sitting, leaving a lot of gobblers alone. This means hunters can look forward to what most call “the peak” of turkey season. It’s coming quickly, and it’s inevitable. Late-morning hunts will become productive as gobblers will be lonely and seeking out hens. Afternoon and evening hunting should become more effective and fruitful. Hunting fields has been a little slow lately due to the lingering cold weather, but this is also changing with the onset of warmer weather. Some groups of turkeys have been frequenting fields for grasses and clover, and that activity will increase with more insects moving in. Some turkeys are feeding in green-fields on grasses and clover. They’ll be frequenting them more as the abundance of insects increase. If you’re a public-land hunter, you should be aware there will be a sharp drop in pressure on most Wildlife Management Areas. Seasons are open in Louisiana and Arkansas, and fewer out-of-state hunters will be in the woods. 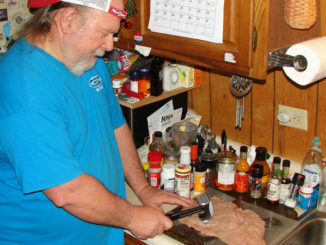 As spring progresses, lots of sportsmen will abandon turkey hunting and opt for bass and crappie fishing — this is good news for die-hard turkey hunters. 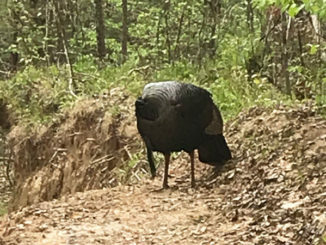 According to the MDWFP’s turkey report, the last week of the 2018 season — April 26-May 1 — was a time of intense gobbling activity. Hunters should expect close to the same this year. 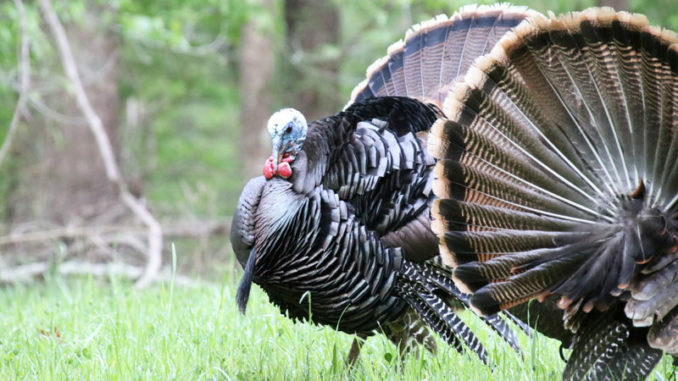 The very best of prime time Mississippi turkey hunting is almost here. If you’ve hoarded vacation time, it’s time to schedule it and get out in the woods. It’s time to hunt and hunt hard ‘til the end. Andy Douglas is an outdoor writer and photographer from Brookhaven. A native of Lincoln County, he’s chased deer, turkeys, bass and most anything else the past 35 years. He lives the outdoor lifestyle and is passionate about sharing that with others through stories and photos.